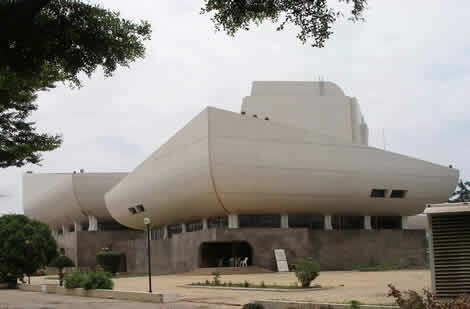 The government has secured funding from Turkish Export and Import Bank to put up a second national theatre in Kumasi to promote arts in the country, President John Mahama, who made this known, said the proposed national theatre would accommodate a larger audience than the one in Accra. He was speaking on Monday during a courtesy call on him by players in the creative industry at the Flagstaff House, Kanda, in Accra. The meeting focused on the need for the establishment of a council for the industry, promulgation of a film policy, the protection of intellectual property rights and the need for increased funding for the creative industry. President Mahama said the various centres for national culture were being revamped. 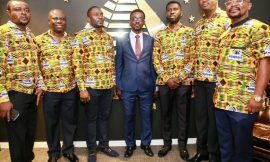 He affirmed the government’s commitment to systematically shore up investment in the creative industry, in partnership with the private sector, to enable it to become one of the major drivers of economic growth after cocoa and gold. The President said the creative arts was a major income earner for some countries, noting that in the United Kingdom, for instance, the industry was worth in excess of £36 billion. “If we put our investment in the industry it could be one of the major sectors,” he said. 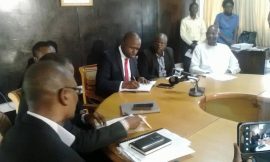 President Mahama said a film/cinematographic bill had been in the works since 1998 and gave the assurance Cabinet would take a second look at the bill and forward it to Parliament for consideration and approval. On piracy associated with intellectual property, which has been a bane of the industry, Mr Mahama called for public education for people to appreciate the gravity of the offence and desist from pirating people’s works. He advocated stiffer sanctions to deter prospective offenders. He assured players in the industry that the government was fully committed to supporting them, hence the re-alignment of the Ministry of Tourism to give a boost to the creative arts. All the speakers, namely Professor Esi Sutherland-Addy of the Institute of African Studies, University of Ghana; Mr Kwaw Ansah, a veteran film maker; and Bice Osei Kuffour, President of MUSIGHA, called for more resource allocation, a film policy to guide the industry and other measures to make the industry more vibrant.